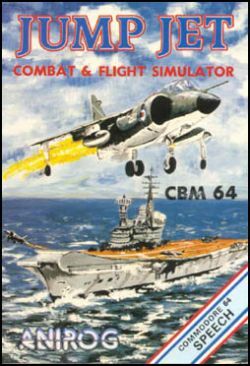 " Between 1983 and 1985 there was a flight sim featuring the Sea Harrier in the Falklands called Jump Jet. It was for Amstrad 6128." It was published in 1987. MiGMan thanks Francisco J. Camposfor the scan.